Bring fast and easy-to-use VHD solutions to your organization. In today's fast-paced working world, it's essential that all users have secure access to essential applications and data. To address these needs, a growing number of organizations are turning to the cloud for virtual desktops. In this environment, important data is accessible in a secure location on the organization's cloud servers rather than on each employee's personal computer or a corporate network. BoltonSmith's own virtual desktop solution is easy to use, and so fast and responsive, users may not even realize they're not working from a local desktop. The advantages of BoltonSmith's Virtual Hosted Desktop platform are clear: seamless yet secure access to data, no matter where in the world an employee or stakeholder is located. 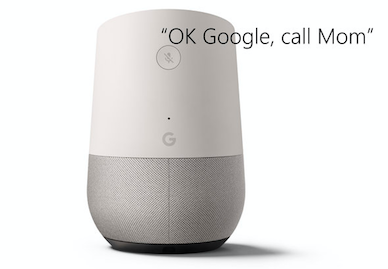 As your organization grows into a mobile, global workforce with regional, national, and international partnerships, this kind of remote accessibility becomes progressively more vital. No wonder an estimated 50 million businesses worldwide now depend on Virtual Desktop solutions for access to their most sensitive information. The user interface that permits access to this environment is known as a virtual-hosted desktop solution, or VHD. BoltonSmith's distinct VHD offering is tailored to each individual client, with options that can be customized to our client's unique business needs and industry requirements. Even better, BoltonSmith's VHD offering can be scaled to meet the demands of virtually any company in any industry, allowing us to continue offering optimized service as your organization evolves. While BoltonSmith treats each client's VHD requirements very differently, the end goal remains the same for all of our customers: to maximize the benefits of virtual-hosted desktop solutions for each client without compromise. 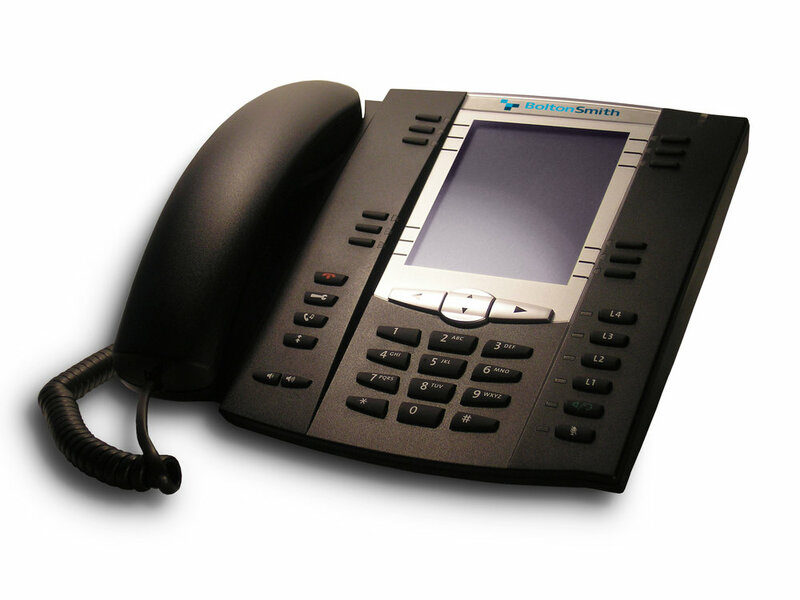 We offer VHD services that are built for seamless integration with the BoltonSmith Unified Communications Network, powered by Voice over Internet Protocol, or VoIP. This unique network is built to provide our clients with ready and secure access to their data regardless of their location and it can be customized quickly and efficiently as your business requirements change over time. 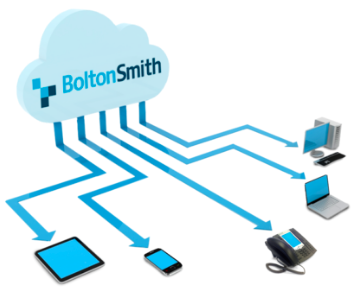 BoltonSmith Virtual Desktop Infrastructure - Made Easy! How is the Virtual Desktop Service offered by BoltonSmith different from other Virtual Desktop Infrastructure (VDI) providers? BoltonSmith provides a comprehensive solution, not just a service. We simplify the implementation and adoption of powerful virtualization technologies to deliver secure, robust enterprise VDI solutions to meet the demands of today's mission critical workloads. How are end-users authenticated to the Virtual Desktop Service? BoltonSmith can provide all the necessary components required to securely authenticate and connect to your virtual desktop service. End-users are authenticated via secure connection server gateways and can integrate with an existing Active Directory service. Just contact BoltonSmith and we will provide all the necessary components required to offer you a complete VDI solution. We will examine existing infrastructure to determine the most efficient and cost effective road map for your business. Do I need to know how to manage hypervisors, servers or enterprise storage to be able to use virtual desktops? No! BoltonSmith simplifies the transition into virtual desktop computing. Our service offerings provide the option of eliminating the administrative, technical and financial overhead of managing hypervisors, servers and enterprise storage subsystems. What desktop operating systems are supported? What protocols do Virtual Hard Drives support? Both the Microsoft Remote Desktop Protocol (RDP) and PCoIP protocols are supported. PCoIP provides an optimized desktop experience and can compensate based on connection speed and technology so that your staff can remain productive regardless of network conditions. Are dynamic and static desktops supported? Does BoltonSmith have services to help my organization adopt and implement best practices for Virtual Desktop Infrastructure? BoltonSmith’s Virtual Desktop Infrastructure Architects utilize design principles which encompass privacy, security, performance and redundancy in the forefront of each and every VDI solution. How much bandwidth does a desktop consume?